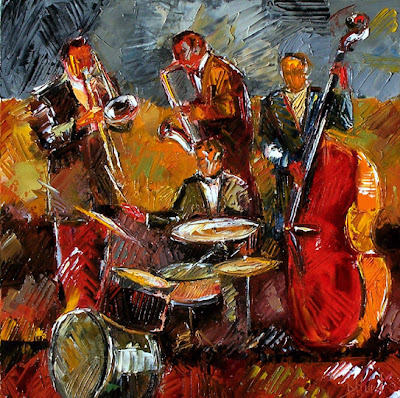 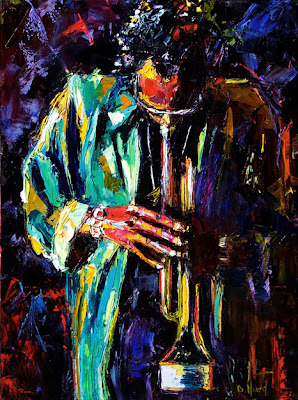 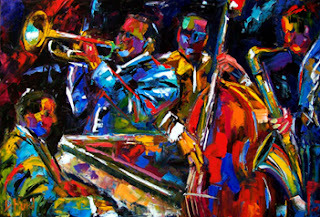 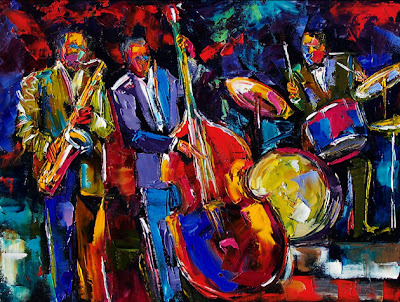 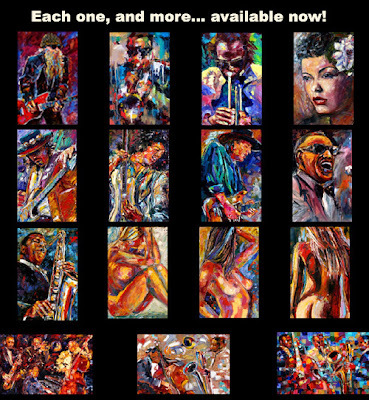 Jazz Art Original Oil Painting BIG JAZZ 36" X 24"
I painted this with a knife lending to texture and brilliant color. 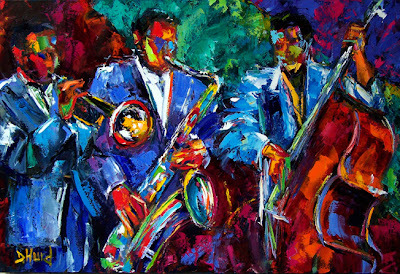 Jazz Painting Abstract original oil --COLORFUL! 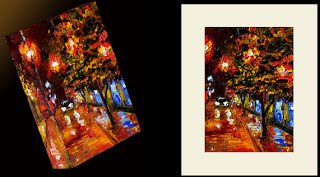 I painted these with a palette knife. 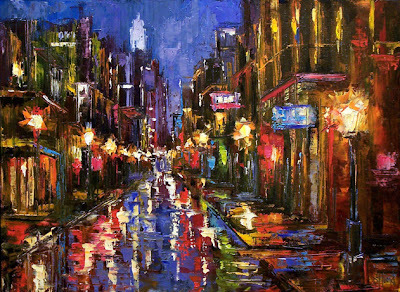 The End Of The Day 7 "x5"
Bourbon Street and is 6"x6"
Village Market size is 7"x5"
All taken from Original Oil Paintings by Debra.